Discover the gift of friendship! In a time when many women feel lonely and isolated, Girls’ Club calls us to embrace the delight and comfort that can be found in life-giving friendships with women―and to cultivate relationships that not only offer emotional affirmation and acceptance but also inspire, educate, and stretch us to live out our God-given potential. 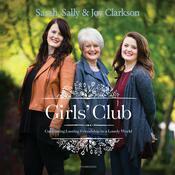 Told through stories and encouragement based on the authors’ experiences―Sally, a seasoned mother and well-beloved author; her daughter Sarah, an Oxford scholar and new mother; and her youngest daughter Joy, a professional young woman pursuing her doctorate―Girls’ Club will speak to the importance of cultivating deep and lasting friendship at every stage in life. Join Sally, Sarah, and Joy as they explore the power, difficulties, potential, beauty, and satisfaction of friendships that help us live purposeful, Godly lives and that satisfy our longing for meaningful and intimate companionship. In a time when many women feel lonely and isolated, Girls’ Club calls us to embrace the delight and comfort that can be found in life-giving friendships with women―and to cultivate relationships that not only offer emotional affirmation and acceptance but also inspire, educate, and stretch us to live out our God-given potential. 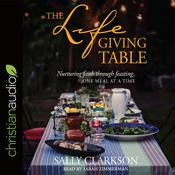 Told through stories and encouragement based on the authors’ experiences―Sally, a seasoned mother and well-beloved author; her daughter Sarah, an Oxford scholar and new mother; and her youngest daughter Joy, a professional young woman pursuing her doctorate―Girls’ Club will speak to the importance of cultivating deep and lasting friendship at every stage in life. 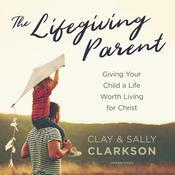 Sally Clarkson is the mother of four grown children who walk with God. 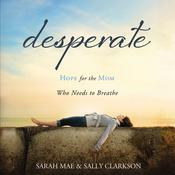 She is the author of many books, including Desperate: Hope for the Mom Who Needs to Breathe and The Mission of Motherhood. She is a speaker, writes a personal blog at ITakeJoy.com, and is the director of Mom Heart Ministry, an initiative to inspire, encourage, and restore mothers’ hearts to God’s heart for motherhood. Sarah Clarkson, a graduate of Oxford University, is the author of Book Girl, The Lifegiving Home, Read for the Heart, and Caught Up in a Story. She blogs at www.sarahclarkson.com. Joy Clarkson is a lover of God, people, and a crafter of words. She is working on her doctorate in theology, imagination, and the arts at the University of St. Andrews in Scotland.